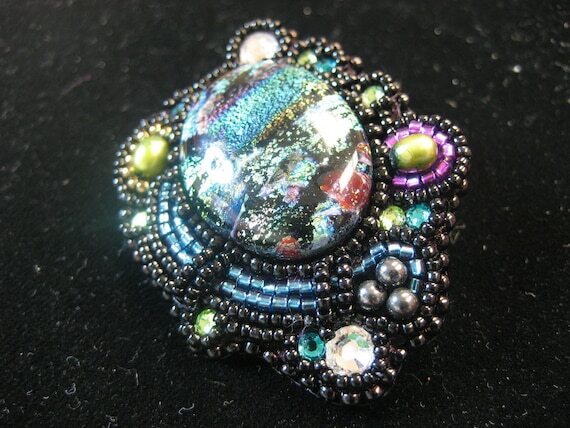 A one of a kind Embroidered Brooch. This piece is stitched bead by bead, and includes glass, pearls, swarovski crystals, and a beautiful centerpiece of Dichroic glass. Colors swirl everywhere, funky yet elegant. The only one like it; making the perfect addition to your jewelry box.